The Network Administrator is solely responsible for the administration, support and improvement of the IT infrastructure. This is a technical, hands-on position in both an office and manufacturing (high-heat) environment and requires strong troubleshooting and analytical skills combined with excellent interpersonal skills. 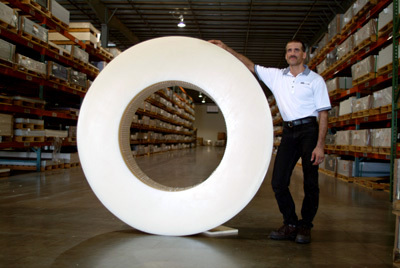 King Plastic Corporation began in 1968 as a small, family enterprise. We are a leading manufacturer of quality polymer sheets, slabs and massive shapes—including several products pioneered by the company. Its polymers are sold worldwide through a network of distributors to customers who fabricate products for the marine industry, signage, food service, healthcare, architectural, industrial and other markets. The company headquarters is a 250,000 square-foot manufacturing facility in North Port, Florida. The King family still maintains independent ownership and control. The same values that made the company so successful in the past still prevail today. Setup of all new network users, file system security, hardware and software in Windows Server environment. Monitor daily system and performance activity. Support end users on Microsoft Office suite, Windows 7, Windows 10, Microsoft Dynamics GP 2015, Microsoft Dynamics CRM 2013. Maintain database of Help Desk related calls. Install software patches and upgrades as needed on workstations, servers, firewalls and switches. Create and distribute sales, production, purchasing and accounting reports using Crystal Reports or SSRS. Administrator for MS SQL Databases. Administrator for MS Exchange 2010. Support remote clients connecting via VPN. Administer Shoretel VOIP phone system. Maintain Symantec endpoint protection virus and spam protection for all clients and servers. This is a hands-on position. King Plastic Corporation offers a salary commensurate with experience, regularly scheduled reviews, and a comprehensive benefit package that includes medical, dental, prescription, vision, life and AD& D insurance, 401(k) with match, paid holidays, vacation, bonus and tuition reimbursement.